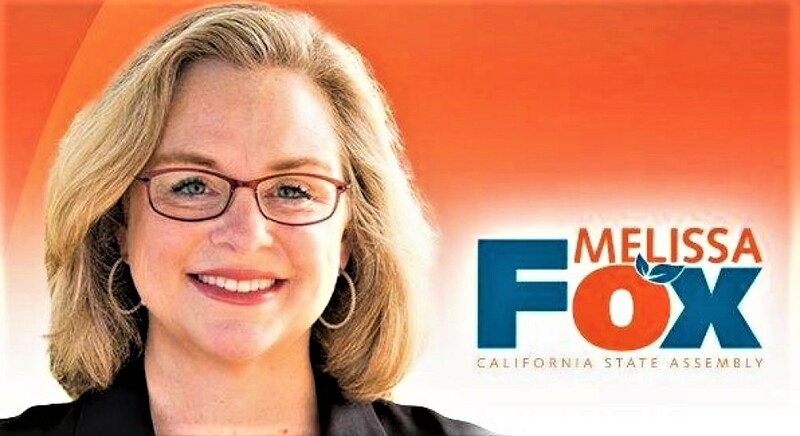 Melissa Fox Named “Best Politician” by OC Weekly! I am happy to report that I have been named “Best Politician” by the OC Weekly. The announcement was made in the OC Weekly’s “Best of 2017” issue. Here is a link to the OC Weekly “Best of 2017” issue. This entry was posted in Uncategorized and tagged AB 1453, Agran Audit, Agran corruption, Agran Irvine, agranaudit.com, Army, Assembly Bill 1453, Assembly Member Sharon Quirk-Silva, Assemblywoman Sharon Quirk-Silva, Best of 2017, Best of 2017 OC Weekly, Best Politician, Bill Cook, Bill Sandlin, California Assembly Committee on Veterans Affairs, California Department of Veterans Affairs, California Senate Veterans Affairs Committee, California veterans, California Veterans Affairs Committee, California veterans cemetery, CalVet, Chairman Bill Cook, Chaplain Bill Cook, City of Irvine, Congressman Lou Correa, Council Member Christina Shea, El Toro Marine Base, El Toro Marine Corps Air Station, Emile Haddad, FivePoint, FivePoint Communities, Great Park, Great Park Cultural Terrace, Great Park Irvine, Irvine, Irvine California, Irvine City Council, Irvine city planning, Irvine Community Services Commission, Irvine Community Services Commissioner Melissa Fox, Irvine Council Member Christina Shea, Irvine Great Park, Irvine Melissa Fox, Irvine veterans, 시의회 의원 멜리사 폭스, JCC, Larry Agran, Larry Agran corruption, Larry Agran Irvine, Marine Corps, Marine Corps Air Station El Toro, Marines, MCAS El Toro, melisafoxblog.com, Melissa Fox, Melissa Fox blog, Melissa Fox for Irvine, Melissa Fox Irvine, Melissa Fox veterans, melissafoxblog, melissafoxblog.com, melissajoifox, Nghị viên Melissa Fox, OC Weekly, OC Weekly's "Best of 2017", OCVMP, OCVMP Committee, orange county ca veterans cemetery, Orange County Great Park, Orange County veterans, Orange County veterans cemetery, Orange County Veterans’ Memorial Park Committee, Orange County Weekly, Sharon Quirk-Silva, Southern California Veterans Cemetery, Southern California Veterans Cemetery legislation, Southern California Veterans Cemetery Perpetual Maintenance Fund, strawberry fields, United States Department of Veterans Affairs State Cemetery Grant Program, veterans, veterans cemetery, veterans in California, veterans in Irvine, veterans legislation, veterans legislation California, VFW Bill Cook, Vietnam War, War on Terror, 市議員梅利莎福克斯, 市议员梅利莎福克斯, 一員メリッ. Bookmark the permalink. ← Join Us at the Irvine Veterans Cemetery Groundbreaking!